No.9 shirt – 17 year wait of expectation? | NUFC Blog. No.9 shirt – 17 year wait of expectation? 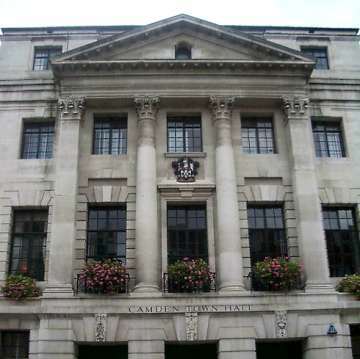 Camden Council: Scuppers No.9 hunt, for now. Right, so now as the dust settles on another tansfer window, where we made some great early progress with players such as Cabaye, Marveaux, Obertan, Abeid and Ba, and a couple of late window acquisitions in the shape of Elliot and Santon, we’re all set for the next big game in the stop/start beginning to this Premier League campaign. The squads have been handed in to the FA and ‘set in stone’ until the January window creaks open for another round of harem scarem frittering of perfectly good cash on journeymen three-time losers and other teams ‘deadwood’. Can’t wait! (well, maybe I can as I can’t stand the way we have to do business these days). Anyhoo, Yes, we could’ve done with a new striker to amply fill the legendary No.9 jersey here at Toon towers. But, it is what it is, so we have to just pick ourselves (jaws included) up off the floor, dust ourselves down and go with what we have now. It’s a real pity actually, ‘cos i’d ’employed’ Mrs. FLiCK to ‘find’ us a new NO.9. A job she totally came up trumps with. So, myself and Mrs. FLiCK have decided to hang on for the next 17 years, or until such time as he can leather a casey into the back of the Gallowgate net whilst receiving the glorious roar of an adoring Geordie public. So Newcastle will have to wait, and so will we, at least until January! That, hopefully explains why I’ve been somewhat absent in recent weeks. Quite a bit has happened but here we are, the next game still a week away. A game that puts us up against a team veritably choc-full of ex-Toon players. Not least Dr.J.Barton esq. I’m sure he’ll have a few words to share with us between now and then via his anti-social medium. Obviously he may not even play. Was there a ‘can’t play this game against us’ clause in the mix when a deal was thrashed out? Probably not! Will he be’ready’ for this game aginst his former employers so soon after his move in his new managers eyes? Probably! I’m sure he’ll be up for it but so should our new midfield. It could get a bit tasty. No doubt Joey will be briefing his new team mates as I type. We should also be briefing our team about the merits or otherwise of their former Newcastle players, so honours even-ish. At least this ‘non-football’ break so early in the season will give us a bit more time to gel the team and introduce Davide Santon and Rob Elliot to their new club and team mates. It’s funny how these games happen to coincide with recent events. But if we can carry on as we’ve started the season away to QPR, our top 6 place could be cemented for now at least. Again this sesaon and in the run up to the season, we’ve been everyone’s favourites to flop, in media circles and fan sites alike. Let’s all hope that keeps us a little ‘under the radar’ again this season as I think we can then push on in our own sweet way rather than buckle under the collective pressure of fans weight of expectation and media glare. Will Ashley’s gamble pay off? blah blah blah what was the article aboot? i was just announcing the arrival of another NUFC fan. Sorry to clog up ya’ browsing like. I was suggesting that he might make it into the team in a few years. Ya’ never knaa, ya’ could be wearing his name on ya’ back one day? There ain’t gonna be no next time mate. Ya’ right, best of times. You think you can stop him from being a Gooner down here in North London Clint? We stopped at three, but they had five as well. ya’ do know that ya’ show black ‘n’ white things to new bairns to get their eye sight in? On the subject of Joey Barton – So far in London, he has taken in Monet and Vincent Van Gogh at the National, and the latest installation at the Tristian Bates Theatre in Covent Garden, “the Museum of Broken Relationships”. He is currently reading “Team of Rivals: The Political Genius of Abraham Lincoln” and “Start With Why – How Great Leaders Inspire Everyone To Take Action” by Simon Sinek. I blame the “Sporting Chance” clinic. like i said: Dr. J Barton. To himself, his good lady and of course our future no.9: Hearty congratulatíons to, the FLiCKS! Congratulations to Mr and Mrs Flick can’t wait to see the youngin bang the goals in for the Toon :-) . Congratulations and all the very best from Cyprus Clint. I’m sure he’ll be Toon through n’ through.